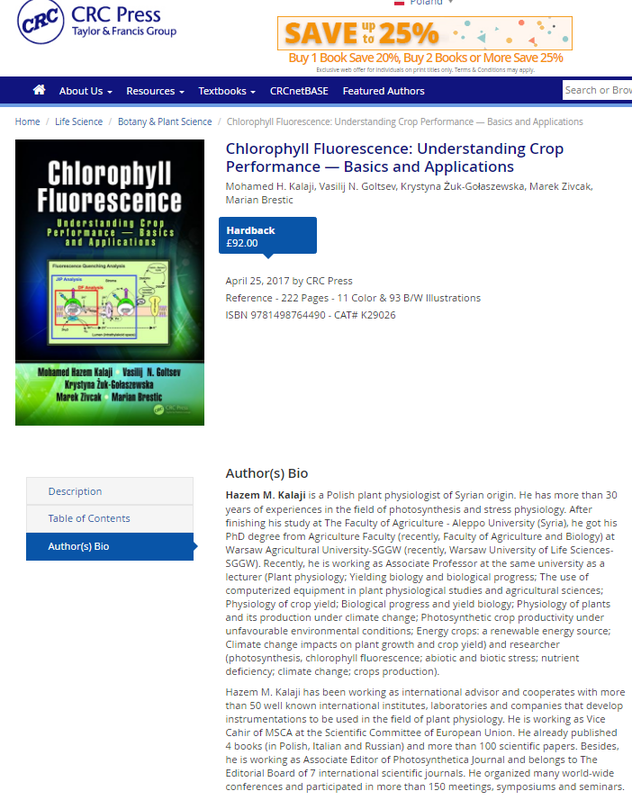 Features Describes physiological meaning, calculations and applications of numerous chlorophyll fluorescence parameters. Discusses the photosynthetic processes in thylakoid membranes resulting in generation of the delayed fluorescence quanta emission. Explains the relationship of the 820 nm light reflection with linear and cyclic photosynthetic electron transport. Examines the applications of simultaneous measurement of chlorophyll fluorescence with other signals. Compares the information that could be provided from chlorophyll fluorescence signals at direct measurement and modulated fluorescence method. Illuminates complex processes in plants correlation with chlorophyll fluorescence signals. 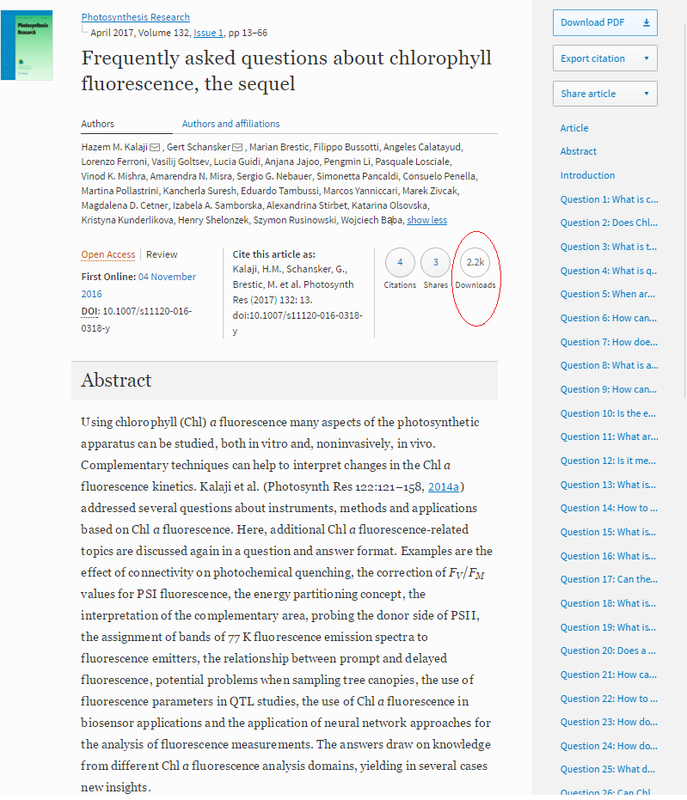 Summary Chlorophyll a fluorescence is a tool for evaluating plant responses to stress conditions. Fluorescence can be used in plant phenotyping and breeding programs to monitor biotic and abiotic stresses including mineral deficiencies, soil salinity, and pathogenic diseases. Chlorophyll Fluorescence: Understanding Crop Performance — Basics and Applications reviews a diversity of instruments available for recording and analyzing different types of light signals from plants and addresses the use of chlorophyll a fluorescence in research on plants and other photosynthesizing organisms, such as algae and cyanobacteria. This book characterizes the phenomenon of chlorophyll a fluorescence, describes the methods for its measurement, and demonstrates — using selected examples — the applicability of these methods to research the response of the photosynthetic apparatus and plant tolerance to unfavorable environmental conditions. In addition, chapters cover a general background on photosynthesis, analysis of delayed fluorescence, and the pulse amplitude modulated (PAM) technique. The book is addressed to a wide range of professionals in photosynthesis research and scientists from other areas of plant sciences. Please distribute the above enclosed information to your friends/readers/organizations' members/distributors and customers. Please also feel free to publish it at your web site, Twitter handle and FB.